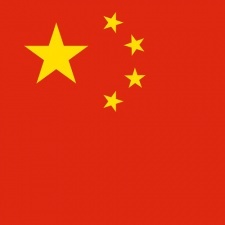 China’s biggest publishers have seen significant gains in international mobile games revenue. IHS Market reports that combined mobile game revenue for Tencent and Netease outside of China reached $376 million, an increase of 382 per cent year-over-year for the period between January and November. NetEase made the largest gains, accounting for 72 per cent of the total revenue earned. That may seem surprising given Tencent’s publishing of PUBG Mobile, but the battle royale only accounted for 2 per cent of the company’s mobile games sector. Tencent’s flagship title Arena of Valor (Honor of Kings), also failed to make a solid foothold in the west during its release. Its effect on international revenue was negligible. Rising revenue from overseas is vital for both Tencent and NetEase, as the market in China continues to suffer from stagnation. Tencent has been cutting its marketing budgets in the region as it attempts to weather the storm. "Tencent and NetEase have begun to build a stronger international franchise for their games in response to the regulatory environment in their domestic market," said games research and analysis director Piers Harding-Rolls, speaking for IHS Market. "However, even with this stronger focus, in the opening nine months of 2018, direct international revenues from mobile games represented only three per cent of the companies' total mobile games revenue. Both companies still have a mountain to climb to derive meaningful revenues from international markets to offset slowing growth in mainland China."